As far as I’m aware there are only the two revisions of the Atari PC2 Motherboard. Revision 1.1 which doesn’t appear to have an Atari P/N assigned, and Revision 2.1 (Atari P/N C100566) which appears to be more refined in it’s design. 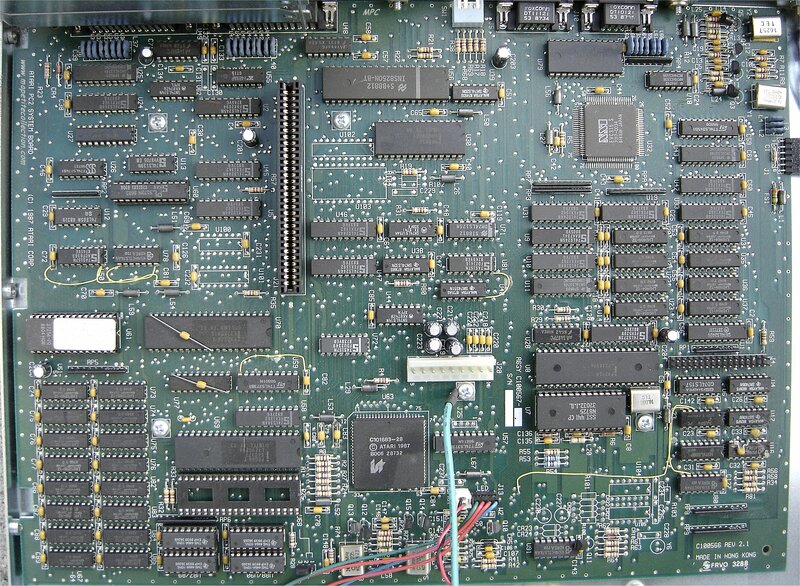 An example of a Revision 2.1 motherboard can be found here on MPC (Ma Petite Collection). Both revisions had an Intel 8088-2 and used the NSI Logic EVC315 onboard graphics. Click on an image below for closer look at the boards.